This was incredibly well written and is now one of my favourite novels. It captivated me from the start. 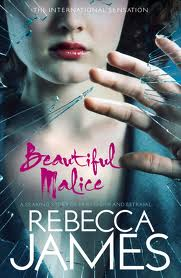 The story follows a girl named Katherine who is struggling with the death of her sister Rachel. Katherine and Rachel went to a party where they got drunk. Katherine went off with her boyfriend but later finds Rachel in a car with four men completely of her face and not aware of her surroundings, she accepts a ride with them and they get kidnapped and taken to a shed and Rachel gets raped. Katherine manages to escape to find help but when she returns Rachel is dead on the ground. Katherine feels that if she had stayed it would have been different, that she could of saved her so she blames herself for the death. This was incredibly well written and is one of my favourite novels. It captivated me from the start and the story will make you cry. All in all I really enjoyed this and I highly recommend it to anyone looking for a good book. You will not be disappointed. This was very entertaining and I really need to pick up my own copy. Seriously go pick it up. Katherine was someone who was popular but after Rachel's death she excluded herself from everything and kept to herself. After a couple of years she goes to live with her aunt and enrols in a new school which is where she becomes friends with Alice. Slowly you start to see the changes in Alice and what she is really like. (spoiler alert:) Robbie (who is in love with Alice) after much conflict leaves, and eventually so does Katherine. Katherine falls in love with a guy called mick and it looks as though things are finally turning around in her life. She becomes pregnant with his baby. Alice was obsessed and scary which is why Katherine left and avoided her afterwards at all costs but Alice somehow found Katherine and wanted to ruin everything. (spoiler alert:) Alice (the bloody idiot) jumped into the ocean in some stupid reason and mick went in to save her. The waves were to strong and they both drowned. Never I have I been so mad before. Honestly I really wanted to give Alice a good punch in the face. Not only did she ruin the one thing that had made Katherine so happy she deprived the baby of its father. Like what kind of person does that! Things were finally looking up in Katherine's life only to have Alice take everything away from her. ugh Alice made me so mad haha. When we found out that it was Alice's brother who murdered Rachel well that just really made me angry. Alice knew all along, she was manipulative and ughhhhh!!!!!!!!!!!! And when we find out that Alice slept with Robbie's father well that was a surprise! She knew that Robbie was in love with her yet she did something so horrible to him. I hated how she played with his feelings and that was just the biggest low she played. I was glad that in the end after she has had her daughter Sarah (Katherine's daughter), She surprisingly runs into Robbie and things start to look up again for her with the hint of a relationship in the future between Katherine and Robbie.